Think of a salesperson in print – that’s how we like to define our copywriters. Writing marketing and advertising materials like brochures, ads, websites, billboards or even emails can be cumbersome. With the huge amount of content, companies have to put out, they most certainly require a copywriter to be in charge of taking a product with lots of information and narrow it down to it’s most sellable components. Copywriting is diverse and we love it that way. You are probably after convincing content. And yes you stumbled upon it and somehow you can’t disconnect with the fact that it is amazingly curated but it isn’t yours – you just can’t use it. So let’s discuss the possibilities of pulling off something of equal measure. Because that’s what copywriting to us looks like. We don’t copy, we just write to match up the standards. You set the standards and we match up to them. To be an effective copywriter, one needs to have an extensive knowledge of the product they’re trying to market. Researching on the product therefore becomes a must do since the more you know about the commodity, the more information to work with you’ll have. This is the information you’ll require in gaining prospective customer’s attention. Knowing or being able to define the target audience is another key factor. This involves knowing what makes them tick and being able to speak their language. It then becomes easier to convince people who identify with you into buying what you’re trying to sell since they trust you. Copywriting should aim at using simple content that can be easily understood by the readers. A more efficient way of achieving this is by using visuals, which is why in many companies, a copywriter is partnered with an art director. The copywriter comes up with the persuasive concept while the art director works on visual communication of that concept. Copywriting focuses on the benefits of a product. This is the part they need to stress on and keep referencing to as much as they can. Show the customers what’s better in your commodity that they won’t get from using other alternative products. Establishing credibility is essential for a copywriter. Instead of using vague words like hundreds or millions, state the distinct number of success cases you’ve had on the product. The last part of a copywriter’s duty is the call to action. Provide links that once clicked the customers have direct access to what you’re marketing. You’ve come a long way in persuading the customers to read that far, it’s time to close the deal. Are you after one who can pull such without effort? 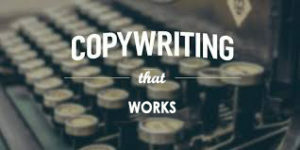 Connect with our copywriters today!